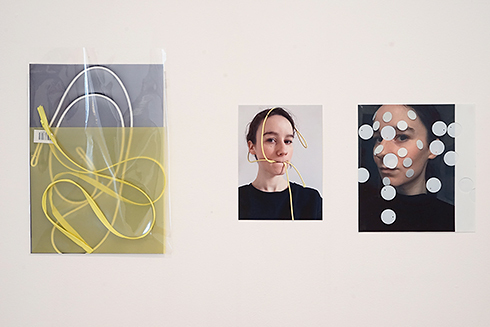 Sarah Wright’s work explores a rhythmic and subjective language of pictures that function as visual poems, or a sort of graphic stream of consciousness. Often using found material from newspapers and fashion magazines, she develops, reproduces, and abstracts these images through various printmaking methods to investigate the ways in which printing straddles both a textual and visual language. For Fresh Starts, Wright has created a new body of work, conceived as a meditative installation that explores a series of new themes emerging within her practice. 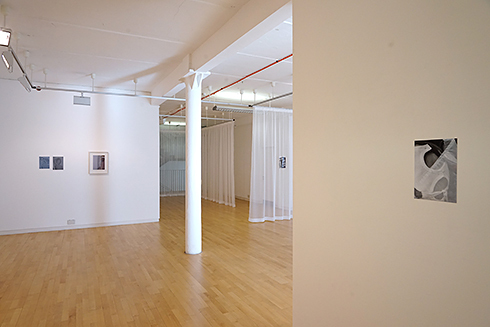 Employing photo-etching, photocopy and digital print methods, she has created a sequence of works that are hung on draped fabric partitions; choreographing the viewing of the exhibition, and also the viewers experience of the gallery space. Sarah Wright graduated from Glasgow School of Art in 2009. Solo shows include: 'temporarily held', Tramway, Glasgow, Scotland (2014); 'Playground', Intermedia Gallery, Centre for Contemporary Art, Glasgow, Scotland (2014). 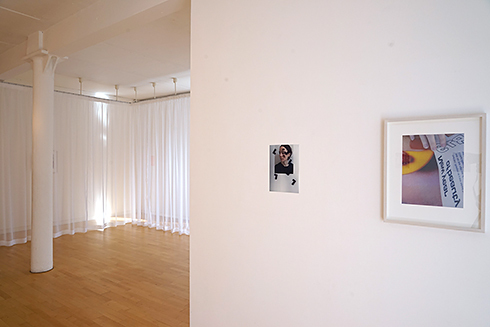 Image: Sarah Wright, Installation images and 'Magazine Page', 22 x 30 cm.